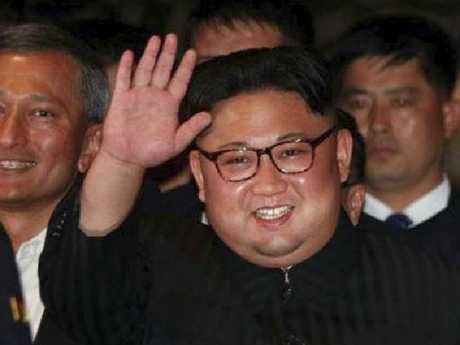 NORTH Korean leader Kim Jong-un is reportedly so concerned about thwarting anyone spying on him that he brought his own portable toilet to the five-star hotel where he's staying in Singapore for the summit with US President Donald Trump, according to a report. 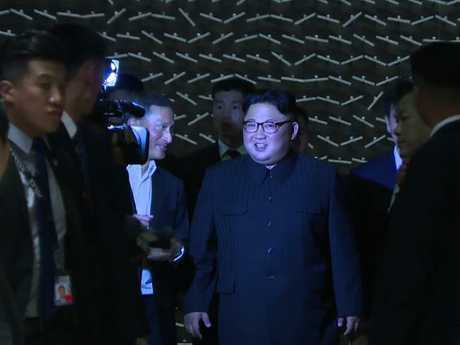 The toilet, which will deny "sewer divers insights into the supreme leader's stools," arrived in a transport plane ahead of him that also carried special food and his bulletproof limousine, the South Korean website Chosun reported overnight. 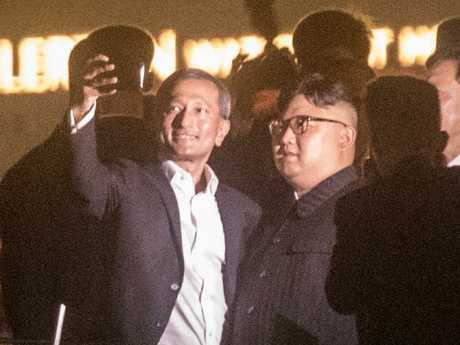 Kim, whose trip to the summit with Mr Trump is only the third time he's left North Korea since assuming power in 2011, routinely uses a portable john that accompanies him wherever he goes, reports the New York Post. Lee Yun Keol, who served in a North Korean guard unit before defecting to South Korea in 2005, said the country's leader always travels with a person to keep his bodily functions away from prying eyes. "Rather than using a public toilet, the leader of North Korea has a personal toilet that follows him around when he travels," Lee told the Washington Post. "The leader's excretions contain information about his health status so they can't be left behind." ​Kim was so paranoid over fears that his plane would be shot down that on his trip to Singapore, he used an elaborate ruse involving three planes taking off an hour apart from each other to keep potential spies from seeing which aircraft he was on, Chosun reported. And instead of travelling the usual Pyongyang-to-Shanghai-to-Singapore route that takes a little more than six hours but that includes sea routes that could leave him vulnerable, he opted to fly through Beijing. That route extended the trip to 10 hours. "Tension was very high in North Korea, hence the secrecy," Chosun reported, quoting a source. 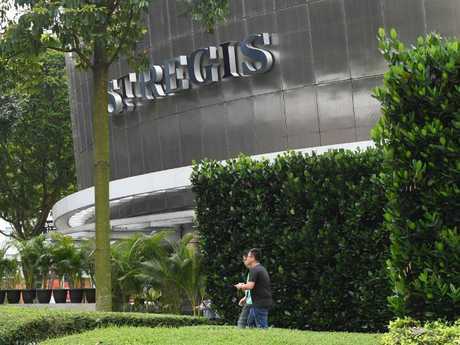 The leader of the Hermit Kingdom and his delegation are staying at the ultra-posh St. Regis Hotel in an upscale shopping district in Singapore. Reports said he's staying in the Presidential Suite on the hotel's top floor that contains handpainted silk panels and a baby grand piano. The suite goes for up to $US9000 ($12,000) a night.